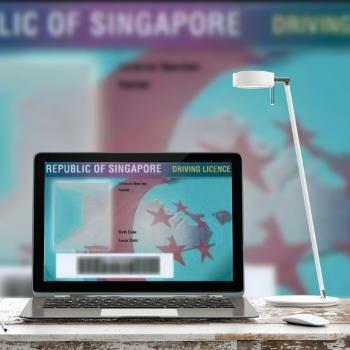 If you are holding a foreign driving license, you may be required to convert the foreign driving license to Singapore license to drive legally in Singapore. This driving in Singapore guide explains who can (and who cannot) use a foreign driving license to drive in Singapore, the requirements and procedures for converting a foreign driving license to Singapore driving license. Who can use a foreign driving license to drive in Singapore? Although the cars are exceptionally expensive in Singapore, many people are willing to pay the price for conveniences. Generally speaking, you need a Singapore driving license to drive in Singapore. All Singaporeans and Singapore permanent residents MUST have a valid Singapore driving license to drive in Singapore. Foreign visitors, social visitor pass (SVP) holders, short-term pass holders can use a valid foreign driving license to drive in Singapore. Holders of long-term pass including Student Pass (STP), Employment Pass (EP), long-term visit pass (LTVP) and Dependent’s Aass (DP) can use their foreign driving licenses to drive in Singapore for up to 12 months. The 12-month period is calculated from the date of your last entry into Singapore (before getting the pass), NOT from the date of issuance of the Pass. Holders of Work Permit (WP) and S-Pass can use their foreign driving licenses to drive in Singapore for up to 6 months. This 6-month period is calculated from the date of issuance of the pass. Of course, in all cases, the license needs to be valid for the class of vehicle you drive.